My husband, being from the South, loves all things pork from bacon to pork chops. 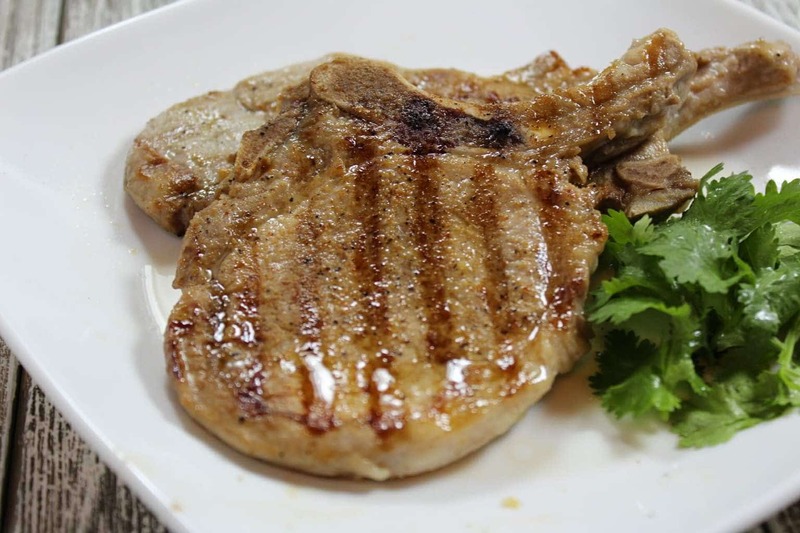 And he has absolutely fallen in love with this recipe for Mesquite Marinated Pork Chops. I agree, they’re really good. In the past I’ve never really been a fan of pork chops because I found them to be too dry or worse, way too chewy. It’s probably due to the fact that years ago people were indoctrinated to believe that you had to cook pork way past it’s “done” state in order to safely eat it. I blame it on the United States Department of Agriculture who stated that pork Had to be cooked until 160 degrees to be safe. This resulted in chewy, leathery, dried out pork. It wasn’t until 2011 that they finally said that pork loin or pork chops cooked to 145 degrees was perfectly safe to eat. And by golly, a bit of pink was OK too. And what a difference that made. Chewy, dried out pork was now tender and juicy. I bring this up because I bought some pork chops at the store the other day that were absolutely fresh and beautiful. Problem was they were so thin. Cooking them was going to be a challenge to avoid those dried out pork chops that I remembered so well. So I thought in order for them to be juicy, they really needed a head start. A marinade. Maybe soy, oil and for a huge flavor boost, mesquite smoke powder. I whisked it together and let the thin little chops soak for about an hour. To cook, I momentarily thought of pan frying, but that Mesquite Marinade said these Needed to be grilled. So I pulled out my Griddler, placed the chops inside closed the lid for 2 minutes. 2 minutes! and they were perfectly done. Grill marked and juicy. These Mesquite Marinated Pork Chops are my new go-to recipe. 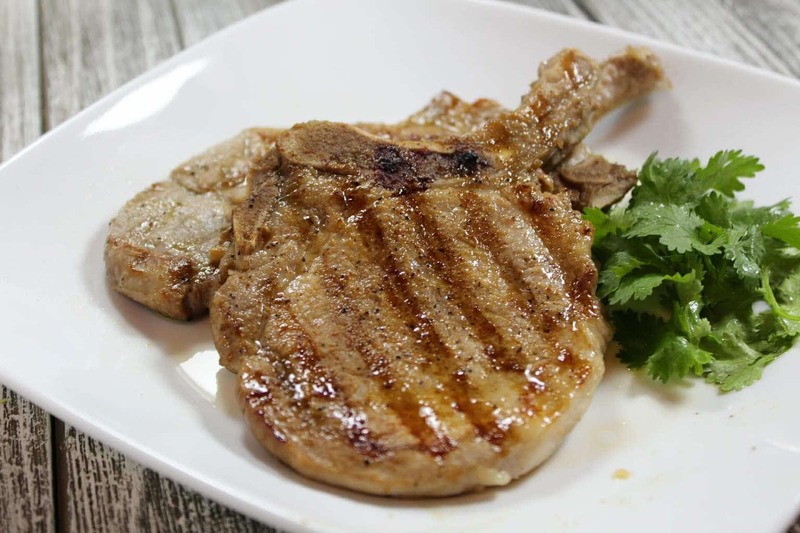 Mesquite Marinated Pork Chops are smoky, savory, juicy and tender. 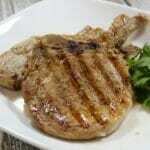 With a Cuisine Griddler these thin pork chops are perfectly grilled in 2 minutes. Heat Griddler and set to Grill setting. Mix oil, soy sauce, Mesquite Powder and garlic powder in a small bowl. Add pork chops to gallon zip lock bag. Pour marinade over pork chops and zip bag. Allow to marinate in refrigerator for 1 hour minimum. Add pork chops to Griddler and close lid. Grill 2-3 minutes depending on the thickness of your pork chops, until firm to the touch.